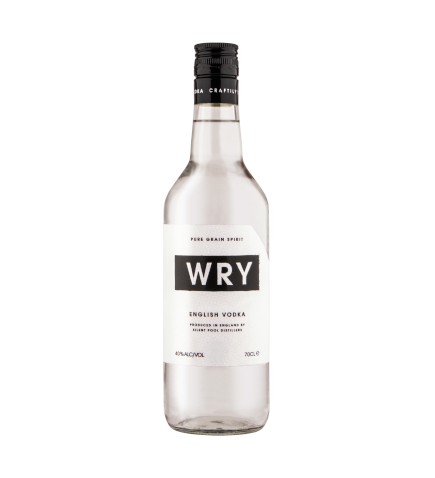 Wry Vodka is a pure rye vodka, handmade at the Silent Pool Distillery. The smooth and rich flavour is a result of our unique and exacting process. Using pure rye spirit, a bespoke distilling process, and a slow filtration through traditional local charcoal, the heart of WRY is a clean, smooth and pure vodka. Layered onto this purity are subtle notes of grain, along with a hint of malty sweetness. WRY has been crafted to be perfect for cocktails, yet smooth enough to drink neat. Serving suggestion: Pour 25ml of WRY over ice, mix with a spicy ginger beer, plenty of lime juice and garnish with a wedge of lime.